None of the others ever get read, despite our suggesting – sometimes begging – for something different (Mega Trucks? Mega Spacecraft?… please!). Anyone can tell you our son is mad about fire trucks (we recently went to an ‘under the sea’ themed birthday party and the best we could do was a marine rescue fireman – ‘I don’t like sea creatures, Mummy, I only like fire trucks’.) This book is detailed and informative, and our son soaks it all up like a sponge. It also attempts to explain the difference between ‘fire trucks’ and ‘fire engines’, although I know all the words by heart and somehow I’m still baffled. This beautiful book was chosen by my son at the library before I realised what I was committing to. It’s a book without words… meaning Mummy and Daddy need to make them up. Sounds fun? It is, but also takes a lot more effort to read than anything else on the shelves. The pictures are stunning and the intricate detail means you tell a slightly different story each time. It’s also the first book my son ‘read’ to me. It made me realise what phrases and descriptions I overuse, when I heard my son repeating them back to me. This is book two of three in the series (Quest and Return are the others), and all are equally as wonderful. I loved Dr Seuss as a kid and I’m thrilled my son also enjoys these books. My uncle collected the box set of 14 and gave them to my son a while ago. There’s many I read when I was little but lots of others I’d never seen (I like those ones the best because we discover them together). The quirky pictures appeal to my son and the silly rhymes are easy to say even when it’s the the end of a long day. And as an adult, I’m reading the stories from a different perspective. Oh, the Places You’ll Go puts a tear in my eye, as I’m seeing my son grow up way too quickly and every day I lose another part of him to the big wide world outside. His Nanna got him this one for Christmas and it was an instant hit. Throughout the story there’s buttons to push that make various truck sounds (and the quacking of a duck). It’s a simple story but easy to read. Our son had his friend sleep over for the first time a few Saturday nights ago, and I read this book to them on the lounge. The friend was given responsibility of the horn and steering wheel, and my son took care of the rest. The system worked surprisingly well. A dear friend from my writing group gave this book to my son for Christmas a year ago and it’s still one of his favourites. What is it about lift-the-flaps that little kids just love? This book is about cardboard boxes and all the interesting things you can build from them, and the pièce de résistance is (spoiler alert) the massive rocket tower of boxes that unfolds three times higher than the book. 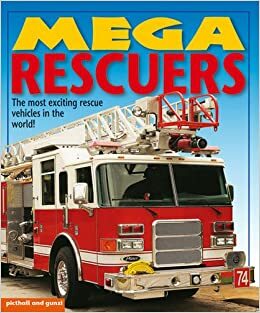 It’s probably this book that has inspired my son to collect every box and container that passes through our house, and demand that we make trucks and construction sites from them. Lately he’s been keen to make some sort of a water feature from the boxes, despite me telling him that cardboard and water don’t mix well (‘but they do, Mummy!’) Perhaps I need to just go along with it and we can call it a learning experience. The day my son understood this book was a very happy day for me. You see, Wacky Wednesday was my all-time favourite Dr Seuss book growing up. The pictures are full of weird things and the book challenges you to find them all on each page. Even as an older kid, I remember challenging myself to count them all. My son thinks it’s hilarious, and we have many laugh-out-loud moments with this one (‘that’s wacky!’) The turtle in the tree and the page with the two suns is particularly entertaining. Also, another example of where maturity makes you read a book differently, I now understand that the framed picture captioned ‘Henry VIII’ in the classroom is in fact Abraham Lincoln… no wonder my 8-year-old self (the one with zero knowledge of English Kings nor US Presidents) could never find the ninth wacky thing on that page. We got this book from the library after I saw it advertised online. It’s fun, bright and entertaining enough for my 3 year old to sit through the whole thing. But what makes this book truly special (and surprisingly unique) is how it starts the difficult conversation that every parent needs to have with their child: who is allowed in your underpants and what to do if someone breaks the rules. The book is back at the library now, but the important conversations have continued. This book has made it easy to reinforce the message (“Remember what it said in the underpants book?”) and I’m much more prepared for my son’s questions. It’s taught me to be open and honest when it comes to these ‘icky’ topics, where my initial reaction is to quickly change the subject. Published in 1987, this book belonged to my husband when he was a little boy. It’s the only book he’s kept from his childhood, and it’s the book my son asks for whenever Mummy’s away and it’s just the two of them at home. Originally, the endings needed toning down a little (‘The boat splintered on the rocks and everyone on board plunged to their death’ was often changed to ‘Everyone was rescued and they all lived happily ever after’… then again, what were we expecting in a book about shipwrecks?) But as my son is beginning to understand broader concepts he now gets the stories in full. The book is mostly text, with a basic picture every now and then, and it’s the first of this format that has taken my son’s interest. I bought this book (along with others) for my baby daughter when I spent a gift voucher at the local bookshop. Although it’s technically her book, it’s one that we’ve been enjoying together, with my daughter on my lap and my son by my side. It has fun rhymes, great pictures and good counting practice. But the thing I love most is the onomatopoeia or ‘sound words’… they instantly turn me into a pretty realistic witch or werewolf. My favourite is the zombie’s ‘GUUUUURRRR’, which my 6 month old copied with an exact ‘guuuuurrrr’ herself, and gave us all a good laugh. This is a hand-me-down book from my parents’ generation (maybe it was my aunt’s?) 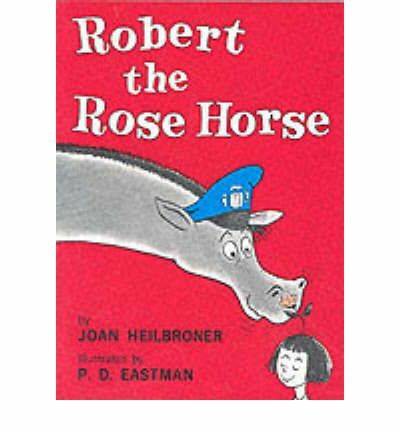 and it’s a sweet story about a horse who’s allergic to roses. When he sneezes it knocks everyone over, which causes some problems for poor Robert. Ironically, it smells of dust and mothballs (like many things from my parents’ generation), and usually ends up making me sneeze as I read it aloud to my captivated 3 year old. I’ve never read ‘Wacky Wednesday.’ Guess what I’ll be doing next time I go to a book shop. I think I’d love it, and I have a little 2 years old in the family who might just enjoy that sort of humour in the future. Journey looks real interesting! Great post, thanks!